It must be party time because I have another crowd pleasing drink for you that comes straight from my grandma’s recipe book. In a large punch bowl, combine ginger ale (or 7-up) and pineapple juice. 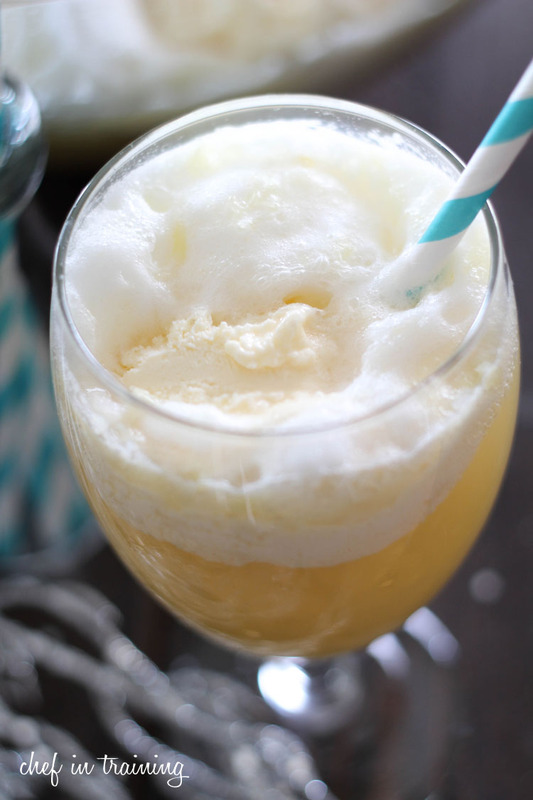 Using an ice cream scoop, scoop pineapple sherbet and vanilla ice cream by rounded scoops into punch bowl. This sounds delicious and refreshing! Makes me wish I had the ingrediants now to make some. Yumminessssssssss! 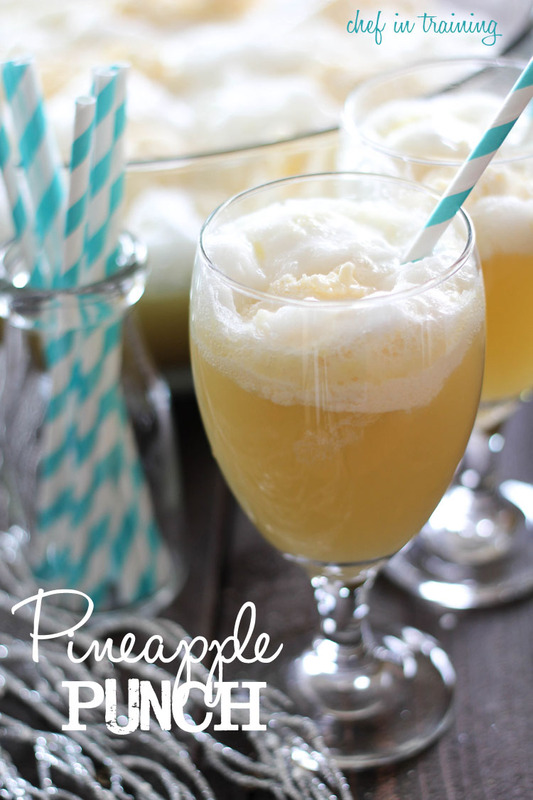 Love pineapple, but mentioning it has a similar taste to Dole Whip at Disneyland?......Well, I'm definently going to try this VERY soon. I just got back from the Caribbean and lots of pineapple drinks - with rum. This looks awesome! Looks amazing and refreshing! Happy New Years!! Where is the recipe? Would love it for my wedding! I can never find pineapple sherbet, so I use orange sherbet. My husband famy has been making this for years. I served it at a New Year's Eve party and everyone loved it. I made this punch for my nephew's 1st birthday party this weekend. It was a big hit!! I must have passed along the recipe to 10 people. Keep the great receipes coming.! This looks GREAT! I'm thinking about fixing it for my mom's 80th birthday. How many servings do you think this makes? Thanks! How many servings can the pineapple punch make?